Building the Reproduction Piano for the Stickley Museum at Craftsman Farms, Parsippany, NJ. 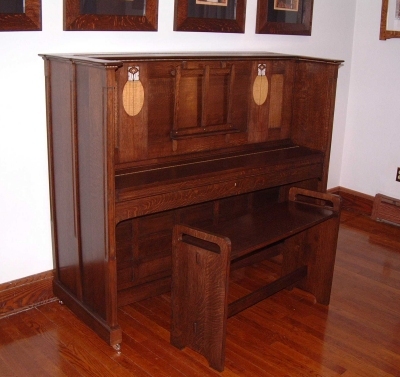 Gustav Stickley created an Arts and Crafts piano as a prototype/study piece c.1905. 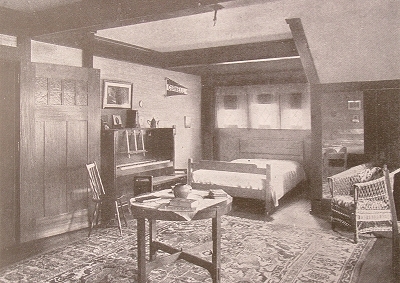 It is seen in historic photographs of "The Farms" in the girl's bedroom on the second floor, c. 1917. The log home in Parsippany, NJ is now a museum. 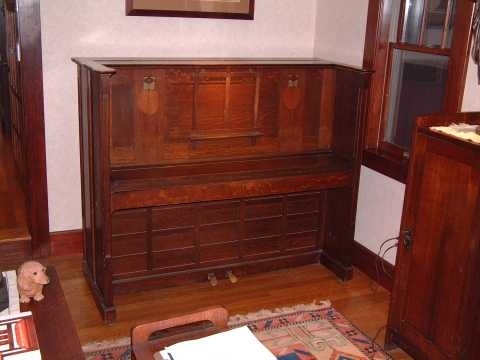 Approximately 7 to 8 more pianos were built by Stickley, but none of them are as ornate as the 'girl's bedroom' piano. 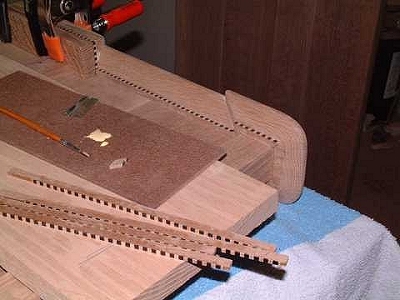 Heavy on hand carved details, unconventional joinery and an 85 key keyboard, the prototype did not go into production. The museum has an original production-model piano in the living room and it is markedly different from the prototype. 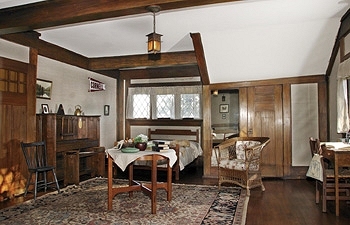 In 1999, the museum undertook a multi-year restoration of the girl's bedroom and this included placement of the original and/or reproduction furniture so the room could be shown to visitors as it was furnished in 1917, the last year the Stickleys resided there. The prototype piano is luckily still owned by Gus Stickley's great-grand-daughter, now living outside Boston, Mass. and permission to measure and photograph the piano was granted. 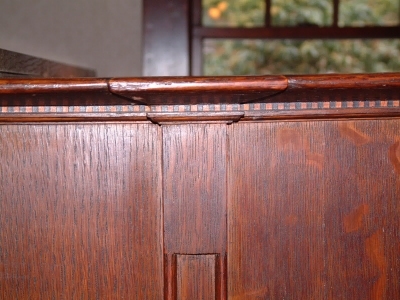 The original piano can be seen on page 84 of "Stickley Style" by David Cathers and Alexander Vertikoff. I was hired by the Farms to reproduce the girl's bedroom piano in 2002. It was decided that and empty case would be built. The museum's sagging floors and my aching back appreciated the nod to gravity's mighty bonds. Approximately 180 hours were spent on this project over a six month period not incuding the drive from NJ to Mass and back. Below are a few of the photos of the original, and the reproduction. Original 1917 photo of the girl's bedroom. The girl's bedroom fully restored in 2006. My reproduction - sitting temporarily in my living room. Side panel details. On the later production models, the rounded corner details were cut square reducing the hand work required. 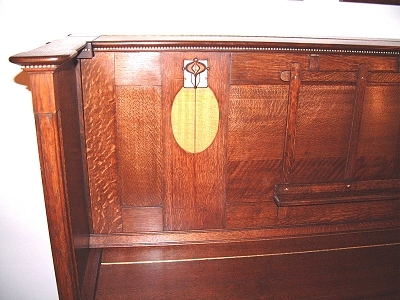 Left side panel of the original. Note the "burnt honey" color, an effect of aging. The color for the reproduction was mixed by the museum's staff, so my piano looks a bit darker in color, though in the photos, it looks about the same. Dyes and glazes were used to get the final color. Don't ask, I don't know the formulas. The final coats are rubbed shellac. 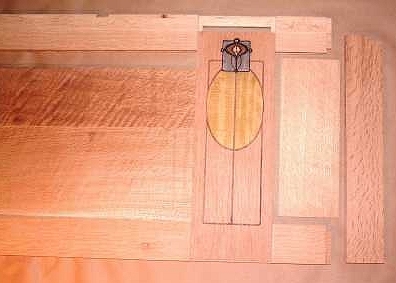 My reproduction showing one of the inlaid panels. Inlays include lemon-wood, walnut, rosewood, pewter, brass. Side panel construction detail. The reverse carving on the top caps exists only on the prototype. 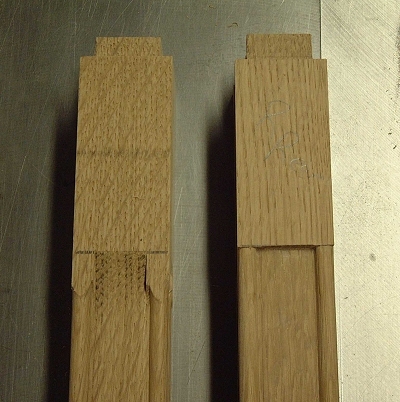 The production models' caps are cut straight-through from front to rear at a slight chamfer eliminating hours of hand carving. The light/dark detail is however found on the production pianos. I've only seen this un-Arts and Crafts-like detail on the pianos.